Public schools in which 80 percent or more of the students are eligible for a free or reduced-price meal must offer a free breakfast to all students starting this school year. This story is part of our 31 Days, 31 Ways series. Throughout August, The Texas Tribune will feature 31 ways Texans' lives will change because of new laws that take effect Sept. 1. Check out our story calendar for more. 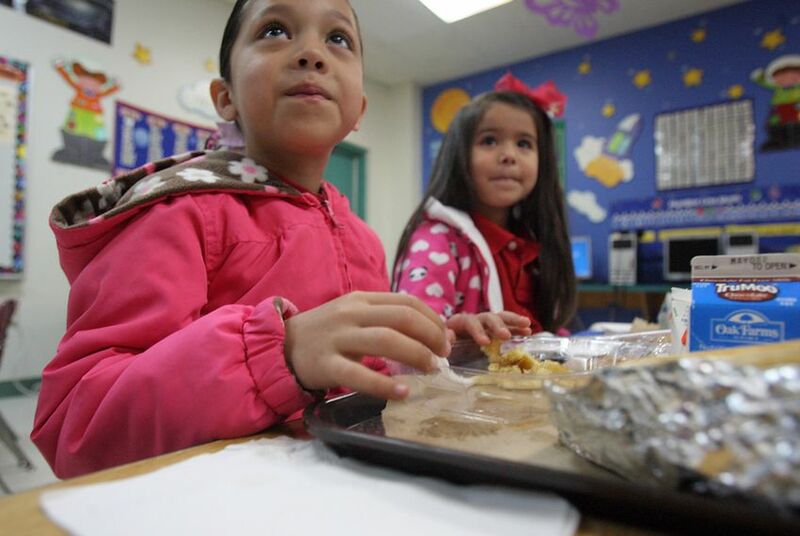 Looking to ensure that no children from low-income families attend school on an empty stomach, lawmakers are expanding Texas schools’ participation in the U.S. Department of Agriculture’s School Breakfast Program. Under Senate Bill 376, which will be in effect for the 2014-15 school year, campuses in which 80 percent or more of the students are eligible for a free or reduced-price meal must offer a free breakfast to all students. According to a report from Children at Risk, a Houston-based advocacy group, the program will affect approximately 1,000 additional schools. Because the program is federally funded, it won’t cost school districts or the state any additional money. Schools can take their own approach to the distribution of meals. SB 376 does not change the eligibility requirements used to determine whether a student qualifies for a free or reduced-price breakfast. Children from families with incomes at or below 130 percent of the federal poverty level are eligible for free meals, and those from families with incomes between 130 percent and 185 percent of the poverty level are charged no more than 30 cents per meal. The 2013 poverty level, set by the U.S. Department of Health and Human Services, is $23,550 for a four-person household. Students who do not qualify for the program will be able to purchase the meal at its regular price, which is set by schools individually. A 2012 report from the Texas Hunger Research Project showed that in Texas, about half of the students receiving lunches from the program were also taking advantage of the breakfast option. Childhood nutrition advocates have said that because of the stigma of receiving free breakfasts when other students eat at home, some students choose not to participate. "We just found that too many districts were lagging with the program," said Robert Sanborn, CEO and president of Children at Risk. Sanborn said that in addition to targeting hunger among children from low-income families, the legislation would help to lower administrative costs for school districts that are trying to meet the needs of students in low-income families. "When Dallas and Houston started to go with the breakfast model, they started making money," Sanborn said. "The more kids you serve breakfast to, the cheaper your costs are. I think we'll find how it's cost-beneficial." In the Houston school district — the state's largest — breakfast has been made free for all elementary and middle school students. Brian Giles, the senior food administrator of the district, told the Tribune in April that it has seen an increase in participation and federal subsidies. The new legislation allows school districts to request a waiver from participation for one year, after which time each district will be required to implement the program into its schools. “Nutritious food increases student concentration, increases attentiveness, and improves academic achievement in school,” Lucio said. Using statistics from a report by the Texas Hunger Initiative, this graph looks at the number of students who are eligible for and participate in the state's school free and reduced-price (FRP) breakfast program in recent school years.